Join us for the 2017 Mt. Tam Wildlife Symposium on October 26, 10 am–3:30 pm, at the Marin Art and Garden Center. Learn more about Mt. Tam's furry, feathery, and scaly residents, and get updates on One Tam's work to study and support their health. This edition of the One Tam Science Summit series will feature results from the Wildlife Picture Index Project’s first three years of data collection, highlight new and “buzz-worthy” research (on bats and pollinators) coming out of last year’s Measuring the Health of a Mountain: A Report on Mt. Tamalpais’ Natural Resources, and showcase exciting projects in the wings that will support the mountain's wildlife. Join us for a reception from 3:30–4:30 pm to meet speakers and mingle with friends and colleagues. Our annual Tam Talk event will be held directly following the Wildlife Symposium on October 26, 4:30–6 pm, at the Marin Art and Garden Center. We’ll celebrate our 2017 accomplishments and present One Tam’s proposed work plan for 2018. Hear directly from One Tam staff and partners on where we’re headed and how to get involved. August 4 saw the graduation of the 2017 LINC (Linking Individuals to their Natural Community) crew on Mt. Tam. It was the culmination of six weeks of camaraderie, service, and learning. 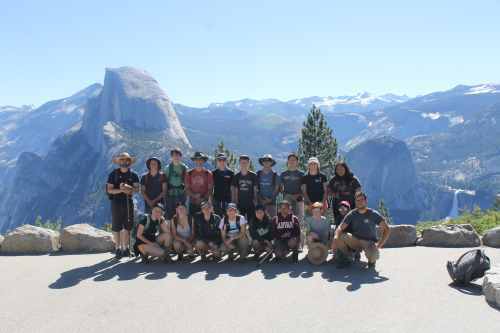 They began their LINC experience with a four-day camping trip in the Yosemite Valley, where they participated in their first restoration project, engaged in team-building exercises, and shared meals together by the campfire. Upon returning to Marin the team started their work on Mt. Tam, spending a week working for each of the agencies on the mountain. 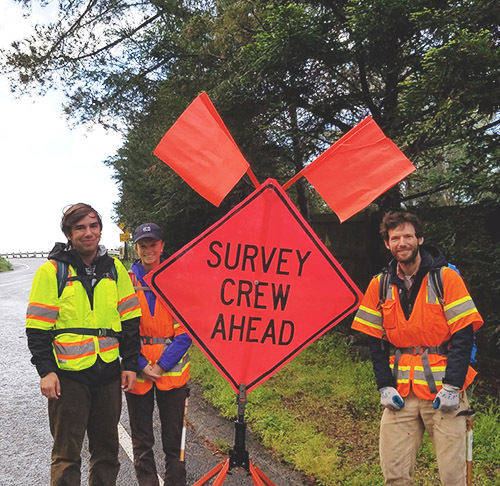 Their work included participating in trail stewardship work with State Parks, contouring the bike park at Stafford Lake, collecting data for a study on forest resiliency spearheaded by UC Davis and MMWD, and removing invasive plant species from MMWD land. One of the highlights of the program was a week spent at the MMWD Corps Yard in Corte Madera. MMWD staff introduced the youth to vocational skills such as carpentry, autoshop, mechanical and electrical skills, and welding. At the end of their time at the Corps Yard, students walked away with proof of their new skills: a wooden tool box they had made and wind chimes they had constructed in the welding shop. One Tam’s Youth Program is looking forward to next year’s crew, and to placing graduates from this year’s team into summer internship positions, with support from of our friends at the California Alpine Club. The West Peak of Mt. Tam is a special place, with its rare plant communities, expansive views, Cold War history, and significance to local indigenous peoples. The site is now the focus of a new restoration design effort. 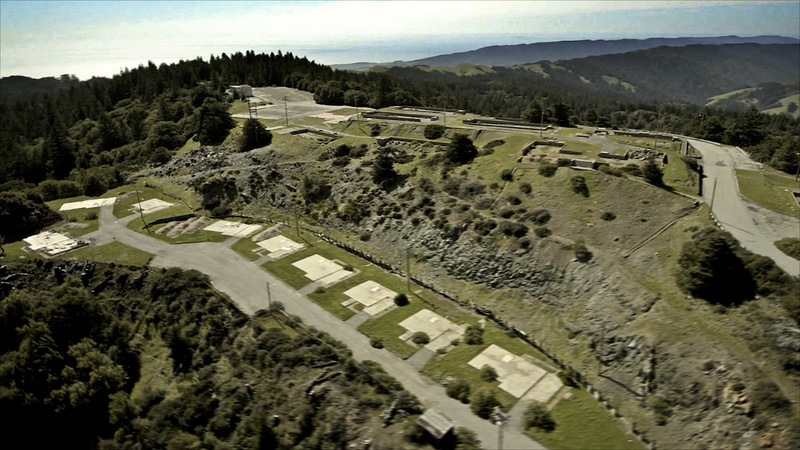 Earlier this year, Marin Municipal Water District (MMWD) leveraged the One Tam initiative to convene a project team for an 18-month technical evaluation, examining the constraints and opportunities related to a potential return to more natural conditions at West Peak. This study will inform subsequent restoration alternatives for public review. Join us on Oct. 5 for a public forum, From Base to Peak, on the past and future of the mountain’s highest peak. Learn about this site’s unique history and ecology, as well as the community-inspired project to restore ecological function and visual appeal. You’ll also have the opportunity to discuss different design concepts with the project team. From Base to Peak will be held Thursday, October 5 from 5–8 pm at the Mill Valley Community Center (no registration necessary). An interactive exhibition on the history and natural resources of West Peak will be on display from October 2–5 at the Mill Valley Community Center. For more information on the history of West Peak and this restoration effort, visit onetam.org/programs-and-projects/west-peak. 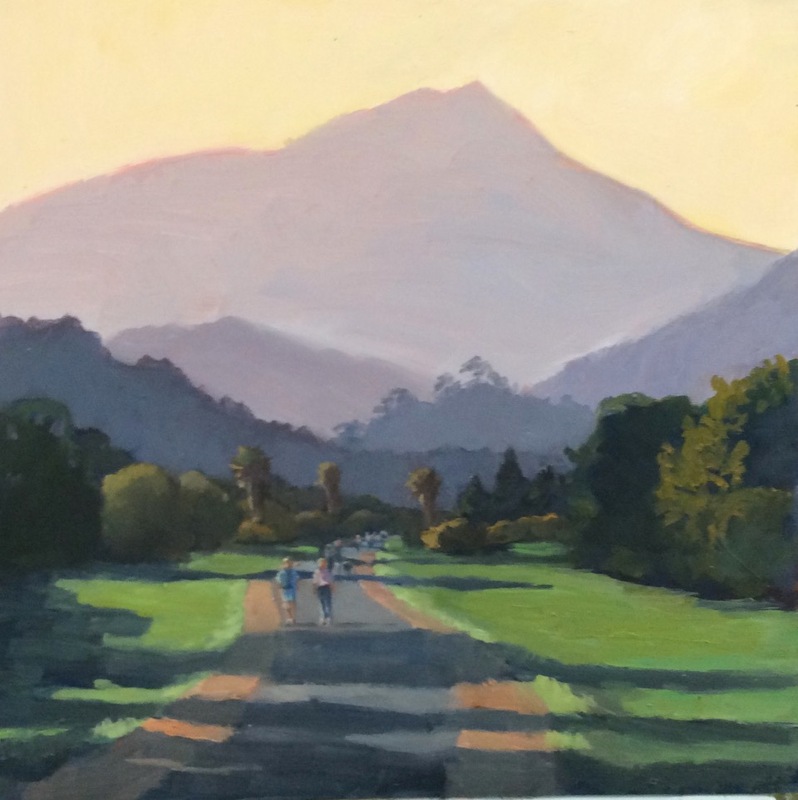 The BayWood Artists are celebrating their 20th anniversary this year by partnering with One Tam for their annual benefit show: One Mountain-One Tam: BayWood Artists Celebrate 20 Years. We are honored and thrilled that for the second year in a row, this talented organization of Marin-based artists will showcase over 100 original paintings in a three-day public exhibition and sale. Since its founding 20 years ago, BayWood Artists’ mission has been to partner each year with a nonprofit environmental group to produce a show that will both raise funds for—and bring awareness to—Bay Area environmental causes. Learn more and preview works from the upcoming show at baywoodartists.org. Saturday, September 9, 9 am–Noon: Mt. Tam Trail Crew work day at Nora Trail. Thursday, September 14, 1–4 pm; Wednesday, September 20, 1–4 pm; and Tuesday, September 26, 1–4 pm: Wildlife Picture Index Workshops. Help catalog wildlife photos for the Marin Wildlife Picture Index Project, which uses motion-activated cameras to study wildlife on Mt. Tam. Saturday, September 23, 10 am-1 pm: Habitat restoraation at Easkoot Creek. Saturday, September 30, 10 am–12:30 pm: West Peak Hike. Join filmmaker Gary Yost and Marin Municipal Water District ranger Matt Cerkel on Mt. Tam for a special talk about the true peak of our beloved mountain. Saturday, October 14, 9 am–2 pm: Bee Pinning Party! Help prepare samples for identification as part of a new study of pollinators on the mountain, and learn about these all-important parts of Mt. Tam’s ecosystems. Check onetam.org/calendar for details and to register! The Conservation Management Team surveyed over 80 miles for high priority weeds this season! When we combine these miles with those of the agency early detection teams, One Tam has surveyed over 160 miles in 2017. The One Tam Conservation Management Team also surveyed 27 serpentine barrens for rare plants and assessed the health of 28 stands of grassland this spring. As flow in the creeks has slowed, we've turned our attention to riparian zones for our final surveys of this year. Special thanks to seasonal staff, Allison Titus and Josh Nuzzo, for their help in accomplishing this work. Thank You Kindly for Your In-Kind Donations! There are many ways for local businesses to support One Tam, including in-kind donations for our volunteer and educational events! If you can help make our upcoming fall events extra-special, contact Monica Stafford at mstafford@onetam.org. We are especially hoping for gifts of wine and cheese, or similar items, for the BayWood Artists and Wildlife Symposium receptions coming this October. Please welcome Lisette Arellano as the new One Tam Community Science Program Manager. Lisette has a Ph.D. in Ecology and Evolutionary Biology, with an emphasis on wildlife parasites and diseases. Lisette is an experienced ecologist and naturalist with wildlife monitoring expertise. She also has 15 years of experience as an environmental and science educator in formal and informal settings, and has pursued professional development in the areas of evidence-based pedagogy, leadership and management, and diversity and inclusivity. Most recently, as the Partnership Programs Assistant Coordinator at the Denver Museum of Nature, Lisette was part of a team engaging underserved communities in informal science education experiences. Lisette has managed and inspired volunteers as a part of many of her scientific and educational endeavors, and is also an accomplished film-maker.